93.9 Lite FM will kicked off its 12th year playing Holiday music 24 hours a day for the entire holiday season on November 9th. 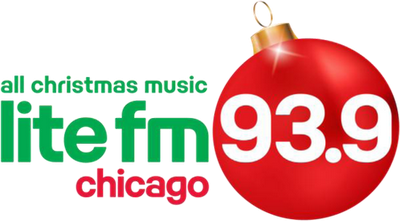 Year after year, WLIT­FM (93.9) is Chicagoland’s home for the holiday. Last year in one week during the holiday season, Lite FM peaked over 4 million radio listeners that tuned in to the station. In addition to turning on The Holiday Lite the station participated this year in a Christmas for Kids Radiothon benefiting Chicago’s Mercy Home for Boys & Girls. To make a donation, visit litefm.com and enter keyword MERCY. 93.9 Lite FM is the number one Adult Contemporary radio station in Chicago (Persons 6+ Share). The station reaches over 1.6 million radio listeners every week (Persons 6+ Weekly Cume). Its content can be heard on-air, online at www.litefm.com, at iHeartRadio.com, and on the iHeartRadio mobile applications on iPads and smartphones.